The Yacht Club was paying over $19K a year in advalorem. She showed them how to go non profit and quit paying local taxes run the non profit thru her and just pay her. That comment raised two distinct questions in our minds here at Slabbed. 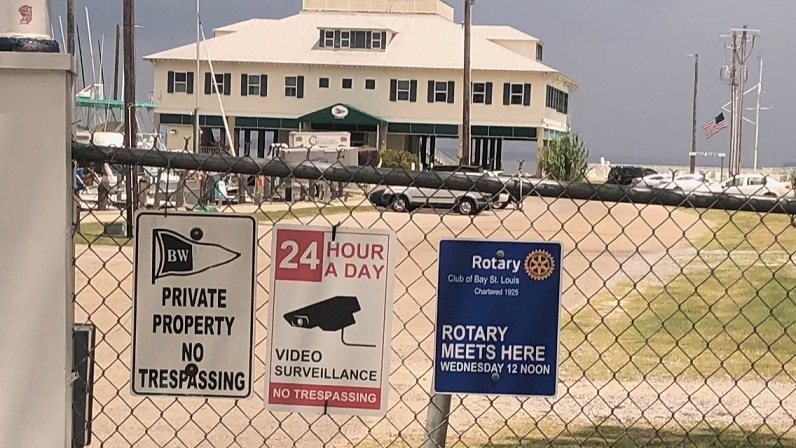 The first question is whether or not the Bay Waveland Yacht Club was paying property taxes. The second question would pertain to the local Chamber of Commerce being involved in getting tax exemptions for a social club. I’ll answer the second question first because we need to line through it for the purposes of the rest of this post as we found no evidence the Chamber was involved in the Yacht Club’s local property tax assessments. The Yacht club however, was given a tax abatement by Hancock County Tax Collector Jimmie Ladner and that is plenty interesting on its own. fraternal and benevolent organization for the common purpose, promotion and pleasure of doing good works related to boating, racing, athletics and related activities Donate use of its facilities, boats and personnel for the advancement of high school sailing, sailing instruction to the children of the community, providing boat storage and launching to the Department of Marine Resources and for search and rescue initiatives, sponsoring annual events open to the community in the celebration of national holidays, hosting civic club functions and fishing rodeos Encourage the owning and use of power and sailing boats for pleasure and a safe harbor for boaters in distress Host international, national and regional regattas in order to exhibit the resources of the Mississippi Gulf Coast to international, national and regional visitors Erect and maintain a building and marina facilities to be used for its good works, charitable endeavors and as a club house for its members Provide periodic donations of use of its facilities and property for the benefit of the community.